Spread salad dressing evenly over tortillas. Top with lettuce, bacon and green onions. 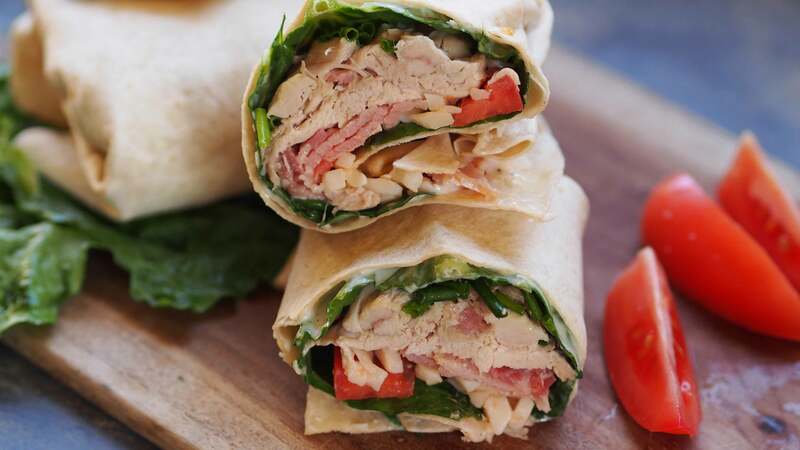 Add the chopped chicken, tomatoes and mozzarella cheese; roll up tortillas. Wrap in plastic wrap and chill for up to 4 hours to blend flavors. Cut in half and serve.